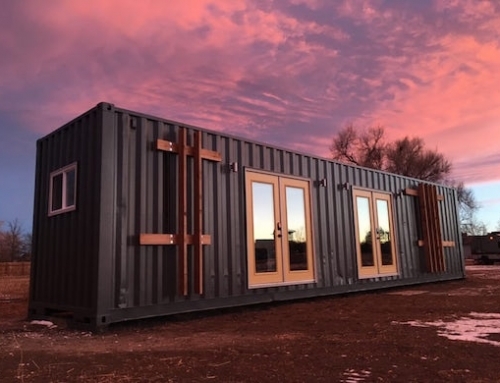 The Lookout is constructed by joining two 40 foot shipping containers in a way that creates a single 16’x40’structure. When ordered, the Lookout is delivered in two 40’ modules, and then the whole home can be assembled very quickly and affordably. The walls, floor and roof of the Lookout model are all insulated to 15% above IBC and UBC building codes, meaning that the homes can be assembled in cold climates as well as hot ones. 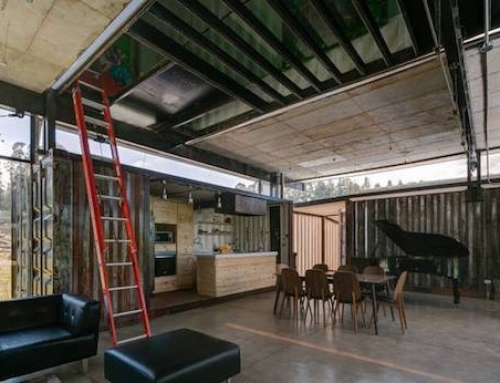 The insulation used is recycled plastic and soy sprayed-in insulation with R-values of R24 for the walls, R 44 for the ceilings, and R32 for the floors. The roof can also withstand 60psf snow loads. 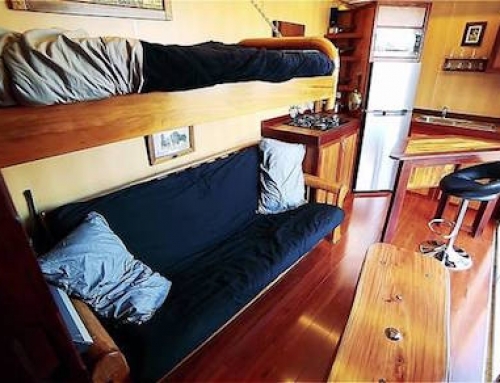 The owner can also choose to upgrade with several standard options, such as adding additional windows and doors, retractable bunk beds, an outdoor deck or opting for a Fujitsu Heat pump, which offers both heating and air conditioning. The company also offers an off-the-grid upgrade. These upgrades make the container home totally self-sufficient, and include natural gas or propane appliances, water heater and furnace. To take care of the energy needs of the household, solar panels and an inverter are also installed. 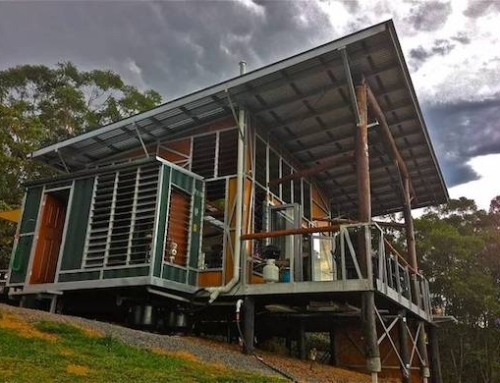 The off-the-grid option also includes composting toilets, and a roofwater harvesting and reuse system. These features depend on the climate in which the home will be primarily used. 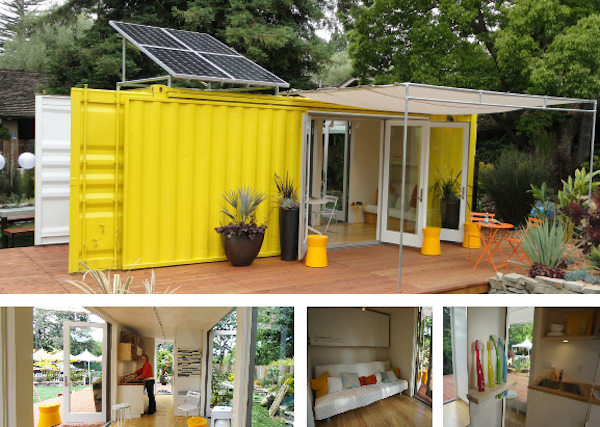 The container home is also fully transportable, including its foundation. So if the off-the grid option is selected when purchasing, these homes can be moved to different locations based on the owners wishes. The base model of the Lookout costs $189,500 and includes the following features: you could easily do this for 35k. That is my gripe, the high costs when this is supposed to be an affordable alternative, must be kinda of like the Affordable Care Act! 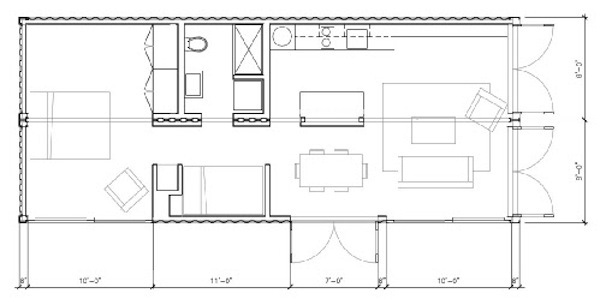 This is close to $300/sf. I would rather build one myself. Why so expensive.? Is it the shipping? 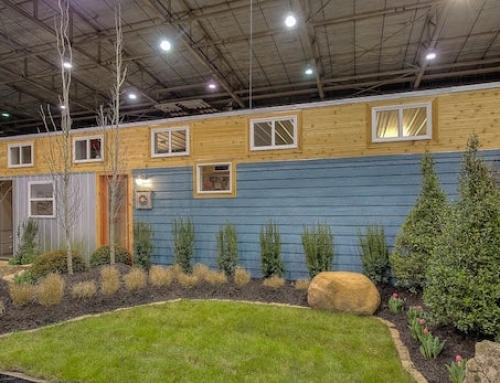 Please share other links to container or prefab homes that are ready to ship.